Night & Day” the latest moog features a unique watch, with a second time-zone. 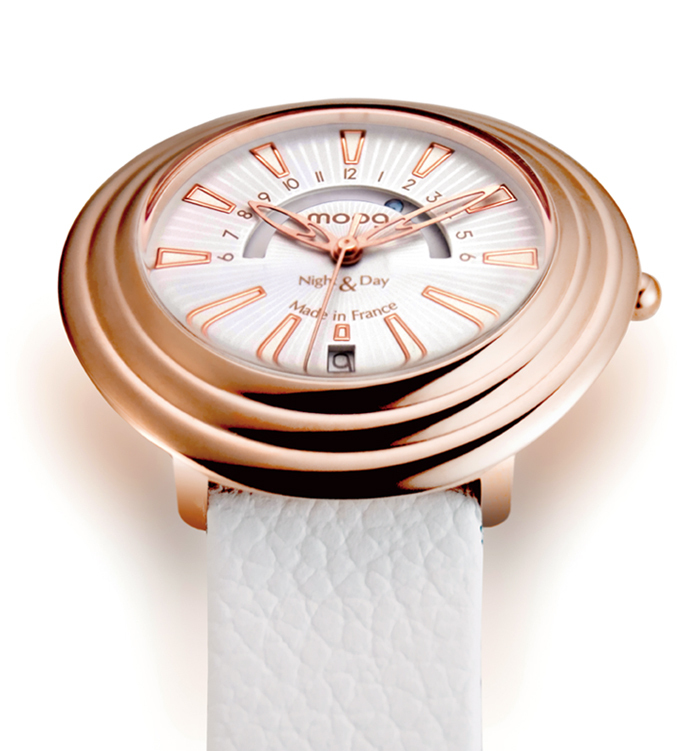 The second time is indicated by a Swarovski element, set on a turning disc under the watch dial. It is white when it’s day and it turns to black when night falls. The watch offers a resolutely contemporary style with a Ronda movements of swiss conception. The collection features two models, M45462 and M45562, whose case is decorated with Swarovski elements.